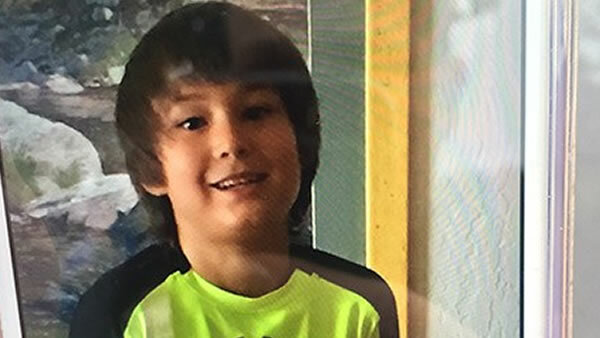 WALNUT CREEK, Calif. (KGO) -- Walnut Creek police say they have located 7-year-old Dylan Lounegov, who went missing on Wednesday. He was found at his elementary school, which is about three miles away. Walnut Creek police say he left his house at 7 a.m. through the garage. Lounegov then took off on his bike and headed to Bancroft Elementary without telling his parents. It turns out he thought he was late for school. When he arrived, he hid in the bathroom, which is why detectives didn't see him during the first search on campus. At 9:45 a.m., the principal and detective saw the boy walking out - to everyone's relief. That's when they called off the search and police started to pack up from the neighborhood where the boy lives. A lot of neighbors in the area joined in on the search as well. Carrie Jackson covered 14 miles on the back trails before she was told the good news. "Wonderful ending we were hoping for. It's perfect, so glad nothing is wrong, probably trying to be independent and riding his bike," she said. A family friend told ABC7 News the boy is very active and smart. Police say this is the first time he has left the house on his own. The second-grader is now back in class, where he should be.